My sweet boy is gone. We had to let him go on Monday because of bleeding complications from a cancerous nasal tumor. The symptoms only appeared a week ago with a trip to the emergency clinic for a terrible nose bleed. It all happened so fast. Run free sweetheart, I love you to the moon and back. Oh no! I'm so sorry to hear this - sleep softly dear Indy. I'm so, so sorry for your loss. Hugs. I'm So Sorry ee ! Elaine, you know how very sorry I am! Indy was so very special and made the calendar contests many times! RIP and run free sweet boy! You will be missed. When you see all my boys over there, say Hi.... and they will be your friends. This makes 5 dogs I know or know of in the past week. 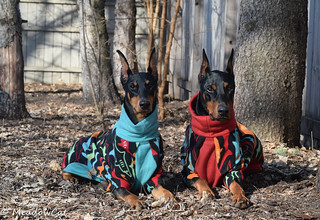 March has not been kind to the Dobe community. Sorry for your loss of Indy. 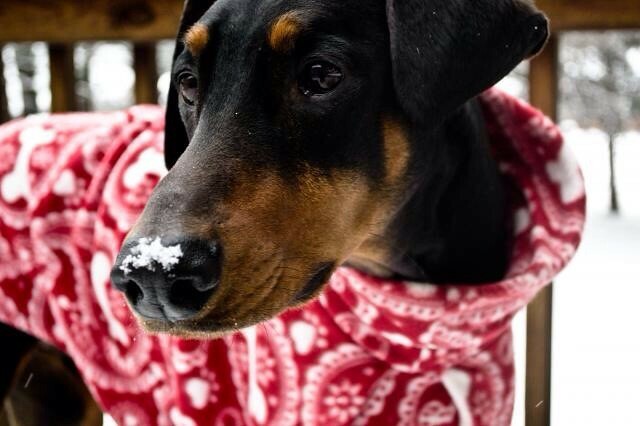 I have always enjoyed your Indy threads and cute calendar pictures of my favorite natural ear Doberboy! If there's a positive side, Indy almost lived a full ten years with you and you helped him to avoid a long suffering. I am sorry for the loss of your handsome Indy. RIP Indy and run forever free. Oh no! He's been a part of DT since Dragon-slayer days, way back when. But at least he didn't have to suffer through a long lingering illness. Very hard on you, but merciful for him. Thanks everyone for your kind words. I miss him so much, my heart is in pieces right now. So very sad to hear of the passing of Indy. It was clear through all his Mom's stories and pictures that he was very loved, and led a wonderful life. Our beautiful babies are never here long enough. We truly understand. Sending warm thoughts from Canada. I'm so deeply sorry, Elaine. Indy was so loved. So sorry to hear this. Always enjoyed the pictures and stories. So sorry to hear of Indy, our beloved DT boy that always captured our hearts. Hugs to his mommy & family, during this very sad time. Last edited by Beaumont67; 03-23-2018 at 07:09 AM. EE, I am saddened to read of Indy's passing. I know you are hurting and my thoughts and sympathy are with you today. Oh, we will all miss that beautiful Indy! Sending you hugs; it’s so hard when they have to go. Oh no! I am so sorry. I just saw this.....I'm so sorry.